Date of Death: 29 / February / 2016. We’ve been asked to announce the death of Margaret Osbourne, aged 85 years, of Windermere Drive Onchan. She passed away on Monday 29th February at The Elder Grange Nursing Home, surrounded by her devoted family. Wife of the late Dennis, Mother of Terry, Julie, Sue and the late Jayne. The funeral service will be held at 11am on Tuesday 8th March at St. Peters Church Onchan, followed by interment at Rushen Curchyard. For all floral tributes and enquiries, please contact Kingswood Funeral Home, Kingswood Grove Douglas, by telephoning 661611. We’ve been asked to announce the death of Doris Bignall of Devonshire Road Douglas. She passed away on Saturday 20th February at Nobles Hospital. Dearly loved Wife of Ron. Loved Aunt of June, Phillip, Jean, Claire, Karen, Vernon, Marion, Emma, Jane, Peter, Gareth, Gwyllym and Glyn. The funeral service will be held at All Saints Church Douglas on Friday 26th February at 12.30pm, followed by a private cremation. For further information regarding donations to the Manx Blind Welfare Society in lieu of flowers, please contact Eric Faragher Limited, 6 Main Road, Onchan by telephoning 673109 or 622897. We’ve been asked to announce the death of Edward Ernest Radcliffe, aged 85 years, of Snugborough, Union Mills. He passed away on Thursday 18th February at Nobles Hospital. He leaves a Wife Ree. Father of Ed, Mike and Chris. Father In Law of Cath, Jan and Fred. A dear Grandad, and Brother of Noble and Pauline. The Funeral Service will be held at Abbeylands Methodist Church Onchan, on Wednesday 24thFebruary at 10am, followed by interment at The Douglas Borough Cemetery. For further information regarding donations to The Hyperbaric Chamber in lieu of flowers, please contact Alfred Duggan and Sons, The Manor Chapel of Rest by telephoning 673328. We’ve been asked to announce the death of Stephen Newbold, aged 87 years, formerly of Castletown. He passed away on Sunday 14th February at Southlands Port Erin. He leaves a Wife Beryl, Daughter Melanie, Son in Law Alistaire and family. The funeral service will be held at St. Marys on the Harbour Castletown, on Friday 19th February at 11am, followed by private cremation. For further information regarding donations to Manx Dementia Care in lieu of flowers, please contact T.S Keggen & Son, Funeral Directors, Port St Mary by telephoning 833133. We’ve been asked to announce the death of Dorothy Emily Collister, aged 91 years of Castletown. She passed away on Wednesday 10th February at Nobles Hospital. Beloved Wife of the late Wilfred. Dearly loved Mother of Russell and a much loved Mother in Law, Stepmother, Grandmother and Great Grandmother . The funeral service will be held at St.Mary's Catholic Church Castletown, on Thursday 18th February at 9.30am,followed by Interment at Malew Parish Churchyard. For further information regarding donations to Sailng for the Disabled or Riding for the Disabled in lieu of flowers, please contact T.S Keggen & Son, Funeral Directors, Port St Mary by telephoning 833133. We’ve been asked to announce the death of John Karran Moore, aged 85 years, formerly of Ballavitchell Road, Crosby. He passed away on 9th February at his home. Husband of the late Helen, Brother to the late Albert and Nora. Much loved Uncle to Annette and Michael, Brother in Law to Elizabeth. The funeral service will be held at Crosby Methodist Chapel on Wednesday 245th February at 12 noon, followed by a private burial. For further information regarding donations in lieu of flowers, please contact David Lancaster Funeral Directors Ltd, by telephoning 842945. We’ve been asked to announce the death of George William Dudley Joughin, aged 85 years, formerly of Su Mark Croft, Anagh Coar. He passed away on Saturday 6th February at The Springfield Grange Nursing Home. Husband of the late Audrey. Father of Michael, Jane and the late Suzanne. A dear Grandad, Great Grandad, Father in Law and Brother. The Funeral Service will be held at Kirk Braddan Church on Tuesday 16th February at 1pm, followed by burial at Braddan Cemetry. 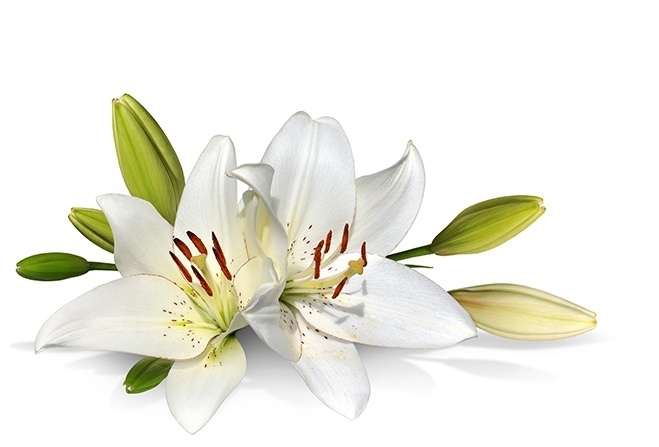 Family flowers only please.For further information regarding donations to Craigs Heartstrong Foundation in lieu of flowers, please contact Alfred Duggan and Sons, The Manor Chapel of Rest by telephoning 673328. We’ve been asked to announce the death of Thomas Williams Pearson aged 84 years, formerly of Berwyn, South Cape Laxey. He passed away on Monday 1st February at Nobles Hospital. He leaves a Wife Norma (Nonie) and family . The funeral service will be held at Christ Church Laxey at 10am on Saturday 13th February, followed by cremation. For further information regarding donations to Hospice Isle of Man in lieu of flowers, please contact Kingswood Funeral Home, Kingswood Grove, Douglas by telephoning 661611. We’ve been asked to announce the death of Dr. Barbara and Andrew Cushnaghan of Union Mills. Much loved Mother and Father of Susan, they will be sadly missed by family and friends. The funeral service will be held at Kirk Braddan Church on Wednesday 17th February at 1pm, followed by cremation at the Douglas Borough Crematorium. No flowers by request please..
For further information in lieu of flowers, please contact Eric Faragher Limited, 6 Main Road, Onchan by telephoning 673109 or 622897.